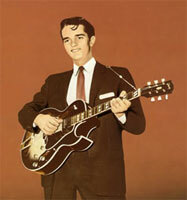 Chanteur Rockabilly puis Country US né William Edwin Bruce Jr., le 29 Décembre 1939 à Keiser (Arkansas). Ed Bruce a débuté en 1957 à la Sun Records de Memphis (Tennessee), sous le nom d'Edwin Bruce. 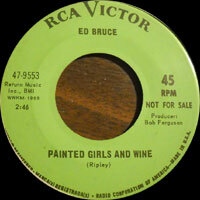 Il connut le succès chez RCA, Monument et United Artists Records. 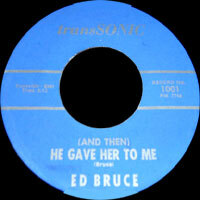 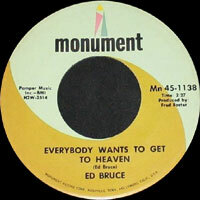 Like so many other artists, singer Ed Bruce got his start as a rockabilly act for Memphis' famed Sun Records; however, he was probably best known for his songwriting acumen. 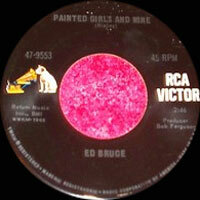 Born William Edwin Bruce Jr. in Arkansas in 1939, he cut his first sides for Sun at the age of 17. 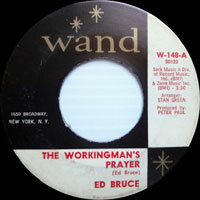 His career as a frenetic rockabilly performer was largely unsuccessful, however, and by 1964 Bruce had moved to Nashville to become a member of the Marijohn Wilkins Singers. 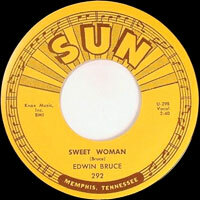 He also entered into a lucrative career singing advertising jingles; his best-known campaign cast him as a character called the Tennessean. 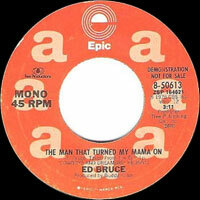 In 1966, Bruce signed with RCA, notching his first chart hit with the single "Walker's Woods." 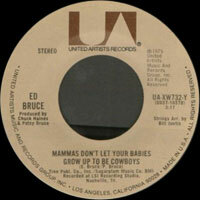 More singles and a change of labels followed, but the singer struggled until 1975, when he took his composition "Mammas Don't Let Your Babies Grow Up to Be Cowboys" into the Top 20. 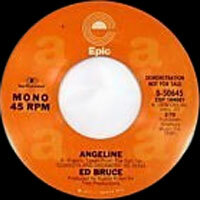 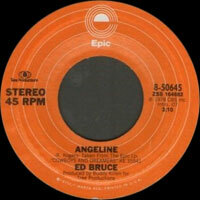 The song, Bruce's best-known, was later a monster hit when covered by the duo of Waylon Jennings and Willie Nelson in 1977. 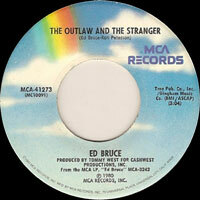 His songs have also been recorded by the likes of Charlie Louvin, Tex Ritter, Tanya Tucker, and Crystal Gayle. 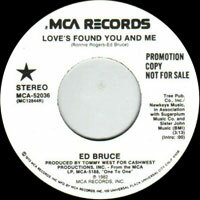 After a brief tenure at Epic Records between 1977 and 1978, Bruce achieved his greatest commercial success with MCA in the 1980s. 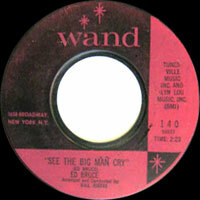 "The Last Cowboy Song," featuring guest Vocalss from Willie Nelson, hit number 12 in 1980; both "Girls, Women and Ladies" and "(When You Fall in Love) Everything's a Waltz" also fell just short of entering the Top Ten. 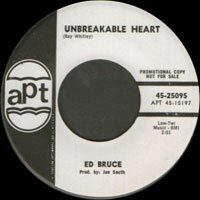 In 1981, Bruce hit number one with "You're the Best Break This Heart Ever Had"; other Top Five singles included "Ever, Never Lovin' You" (number four, 1982), "After All" (number four, 1983), "You Turn Me On (Like a Radio)" (number three, 1984), and "Nights" (number four, 1986). 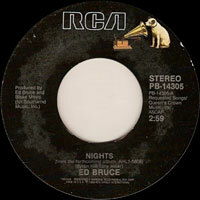 After the 1986 album Night Things and a 1988 self-titled follow-up, Bruce made a conscious decision to cut back on his music to focus on his acting career, appearing in several made-for-TV films.